Home Economics: my dream class, and one that ended up being a lot more useful than just providing an opportunity for an easy â€œA.â€ I canâ€™t remember if I took Home Ec in middle or high school, but what I can remember is one of the most fun ideas to ever sit atop the kitchen counter – the Easter Bunny Cake. Of course, there are time-consuming and rewarding recipes to make a cake and the frosting from scratch, but we were teenagers, and our teacher wasnâ€™t about to delve into scratch baking with us. Besides, it was a lot more fun to turn some random round cakes into an Easter Bunny than it was to learn how to actually bake. 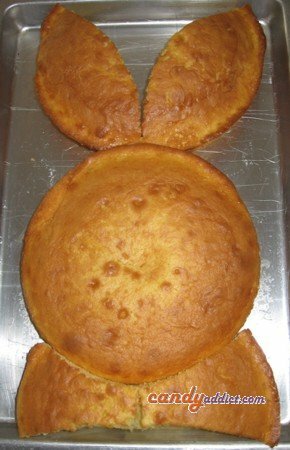 I remember the basics: make two 8 or 9 inch round cakes, cut one into three pieces, arrange them together with the remaining round cake, and you get your rabbit shape. Many more years later than Iâ€™d like to admit, I find myself retuning to the kitchen to make the Easter Bunny Cake. We used food coloring mixed with white icing to create the colorful finished product. But this time, I followed the way of the Candy Addict, and added plenty of M&Mâ€™s (and a couple of Tic Tacs) to top my creation. I chose Dark Chocolate M&Mâ€™s in seasonal pastel colors to grace my rabbit. The rich candy offered a crunchy, tasty contrast to the yellow cake and vanilla frosting. Sorting the M&Mâ€™s was a little time-consuming, and I recommend setting aside a couple of hours to make a bunny cake – especially since you canâ€™t frost the cake until itâ€™s completely cool. I used pink M&Mâ€™s for the inner ears, blue for the eyes, pink for the nose and mouth, and two white Tic Tacs for the teeth. Perhaps the most fun part of the Easter Bunny Cake is the bow tie, which can also look a bit like the top of a turtleneck sweater. You can go wild here, or be simple and tasteful, or anywhere in between. The cake was a hit with family and friends, in equal part because it was whimsical and tasty. In answer to the eternal edible Easter Bunny question: we ate the ears first. Make your own cake, and let me know how it goes. Iâ€™m sure there are artists and bakers out there who can top my creation! I love cake and I love easter… perfect! Awesome job – it looks great. I never have enough patience to make cakes and have a weak spot for them, so i’m not sure i’ll be constructing one of those any time soon. 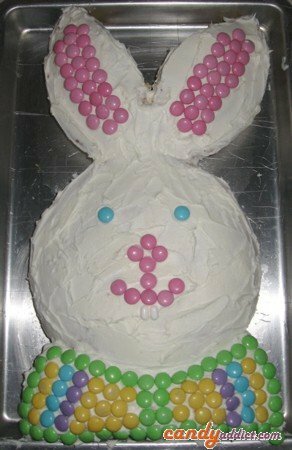 I guess the good thing is that you can make an Easter bunny cake anytime of the year! Yum. My mom used to make this cake every year! I thought she was a genius! thanks for bringing this classic to mind! oh and i have to mention my new blog barredowl.wordpress.com where i talk about food, Top Chef, reality TV, my wonderfully irritating boyfriend, and other good stuff! SIGH. 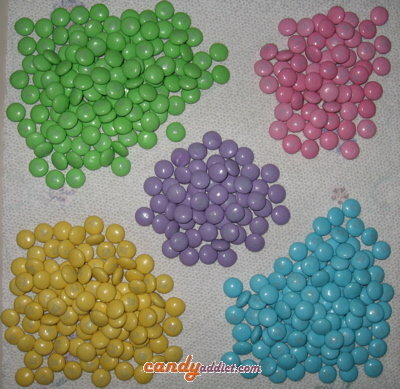 In college I used to buy big bags of pastel M&Ms every year. I’d come back from yoga class and throw myself across the bed in the afternoon sunlight, eating handfuls of pastel M&Ms. I think they evoke some kind of primal, probably Sesame-Street-founded memory of peacefulness for me. AND NOW I CAN’T FIND THE DAMN THINGS AT ALL! All I have seen in the stores in the past two years is stupid SPECKLED pastel M&Ms. If they made bags of pastel MINT chocolate M&Ms, well. I would have to buy about 200 of them just to last out the year. I was inspired by your post, and made this cake for my family on Easter. It was a huge hit, and so easy! Thanks!! Very cute bunny, I’m going to give it a try for my niece’s birthday. Thanks! 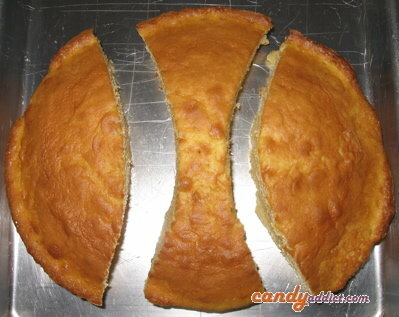 Hey, I never thought of making a cake like that. Thanks for sharing! Excellent idea. It looks surprisingly easy to do too. I’m going to try it and let you know how it turns out.